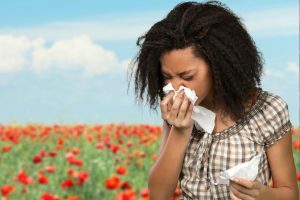 As our eye doctor can explain during your next eye exam, having allergies can mean more than the sniffling and sneezing that most people associate with it. 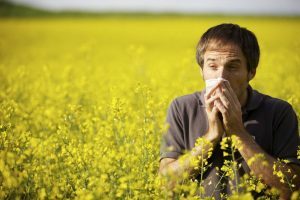 It's Red, swollen, itchy eyes may also be a significant sign of allergies that can come whether you are sneezing uncontrollably or not. If you suffer from allergies and you are a contact lens wearer, you should consider daily disposable lenses. Dust, pollen and other allergens can easily gather on your lenses and will make and just make your allergies worse. Of course, rubbing your eyes will only push these irritants deeper into your eyes. By switching to daily disposables, you will have a clean pair of lenses every day, and thus reducing the amount of allergens and irritants in your eye. Several other ways to reduce or relieve symptoms exist as well. Wearing sunglasses when stepping outside helps block pollen, dust, and other outdoor allergens from getting in your eyes. Finally, never rub your eyes while experiencing an allergic reaction. No matter how much they itch, rubbing will irritate your eyes further and make things worse. If your symptoms do not improve, then you need to see one of our optometrists to rule out other eye conditions. Which Eye Allergy Drops Are Best for You? It is important to consult with your optometrist before running out to buy a bottle of over-the-counter eyedrops for allergies. The type of drops that you use depends upon the cause of your allergy and the degree to which your allergies affect daily life.